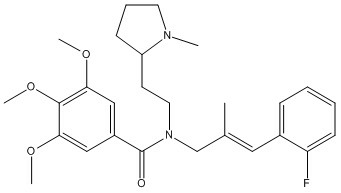 VUF11207 is a highly potent CXCR7 agonist. NSC-23026, also known as MSX-127, is a CXCR4 receptor modulator. LIT-927 (LIT927) is the first selective, locally and orally active CXCL12 neutraligand with Ki of 267 nM for CXCL12-TR binding inhibition; displays excellent selectivity over other chemokines (CCL17, CCL22, CCL5 and CCL2). SB-265610 is a potent CXCR2 antagonist that inhibits CINC-1-mediated but not C5a-mediated Ca2+ mobilization (IC50 values are 3.4 and 6800 nM respectively). BX471 is a potent, selective non-peptide CCR1 antagonist (Ki = 1 nM for human CCR1); exhibits 250-fold selectivity for CCR1 over CCR2, CCR5 and CXCR4. 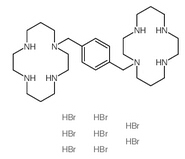 Potent, selective CXCR4 antagonist; exhibits 8-fold higher affinity than AMD 3100. 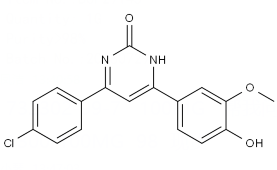 AMD-070 is an orally bioavailable and potent CXCR4 inhibitor.